The backpacking theory goes, the lighter your load, the more comfortable you’ll be. 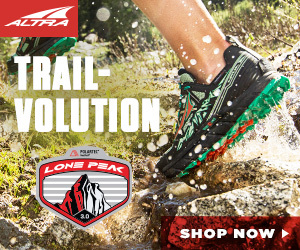 But “going ultralight” is more than just choosing lightweight gear. It’s a discipline that trades comforts and conveniences for fast travel and big miles. 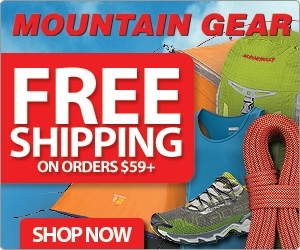 Enter Hyperlite Mountain Gear, manufacturer of high-end ultralight equipment since 2011. 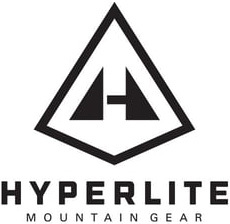 Their own mission statement says it best: “Hyperlite Mountain Gear is not about bells and whistles, nonessential features, or the latest trending colors. 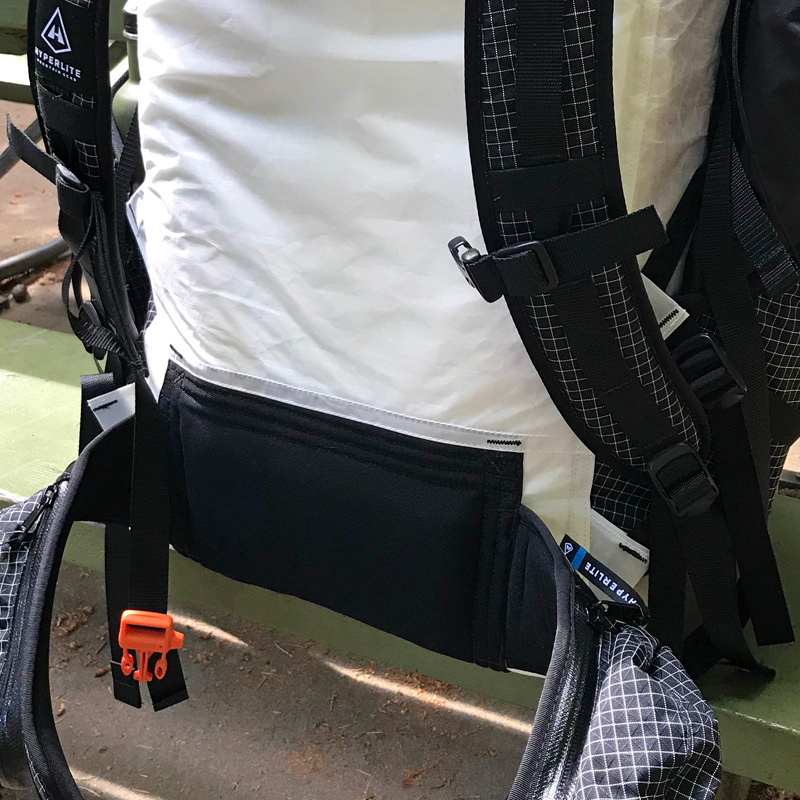 What we’re about is stripped-down, high-performance gear that’s been dialed in to meet … the exacting requirements of the people who use it.” That said, we recently took Hyperlite’s 3400 Southwest backpack for a spin to see how a high-end ultralight pack could work with our own style of section- and thru-hiking. Admittedly, we did not give up our camp chair. Wanna see what’s going in our pack? Scroll down for our full kit. With nearly 65 liters of storage capacity (55 internal and 9.8 external), the 3400 Southwest has room to spare for long-distance trekking. The main storage area consists of a tall (nearly 3 feet! ), tubelike compartment. While we had no problem stuffing our kit into this space, the extra-tall body makes it a bit challenging to strategically load everything in. This is where we love Hyperlite’s Pods (sold separately). 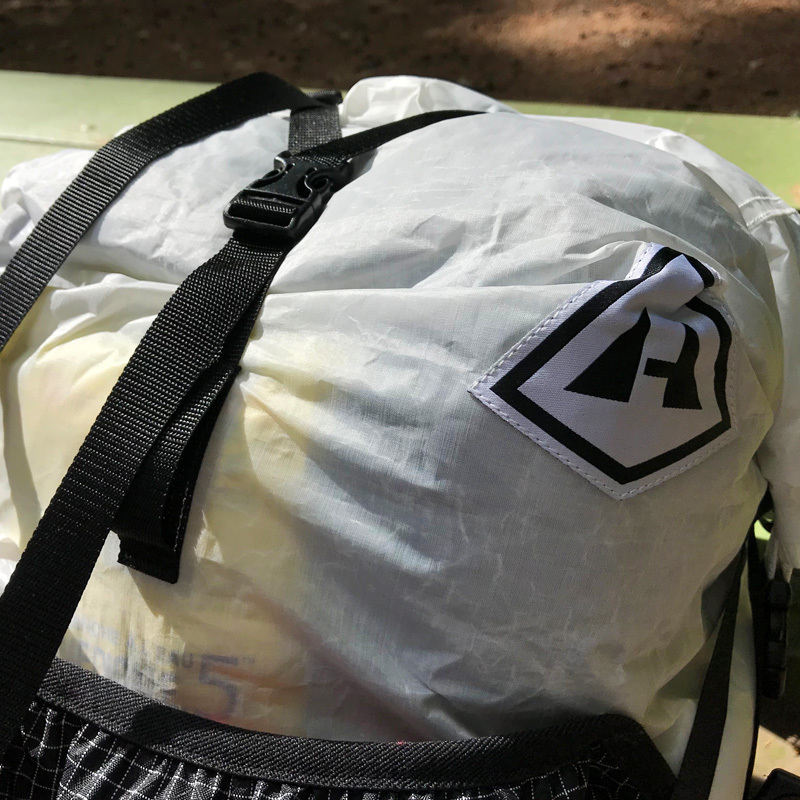 These waterproof, ultralight stuff sacks are designed to fit and stack right inside Hyperlite’s packs for maximum packing efficiency. 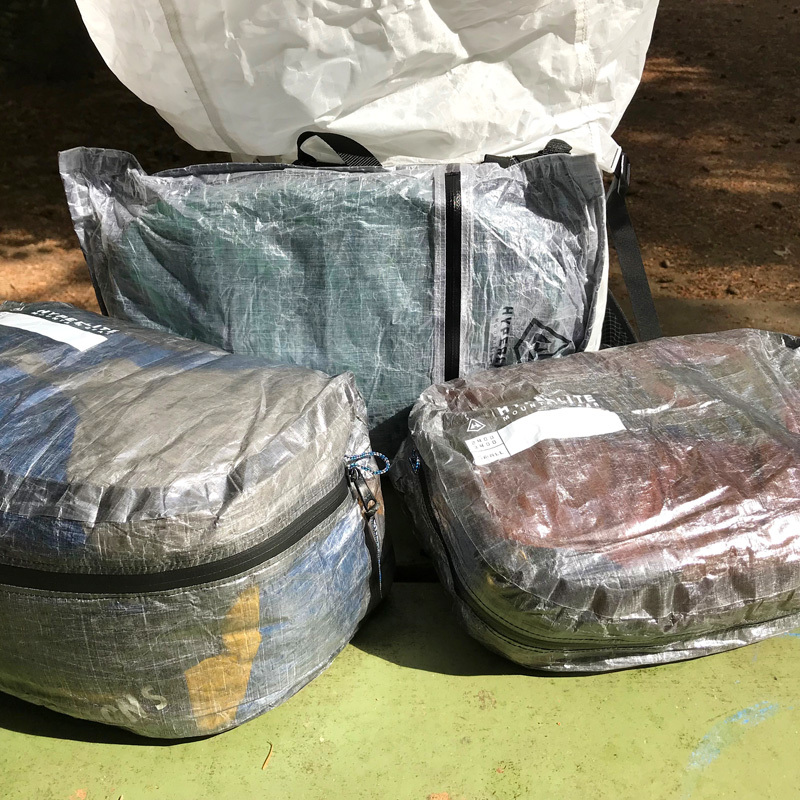 We swapped out the stock sacks for our tent, sleeping bag and extra clothing for Pods and they make loading this pack quick and effortless—perfect for the uber-organizer we are. The combination of interior space, with most of our soft goods in Pods, let us easily swap our Ursack for a full-size bear canister and we still had plenty of extra room. 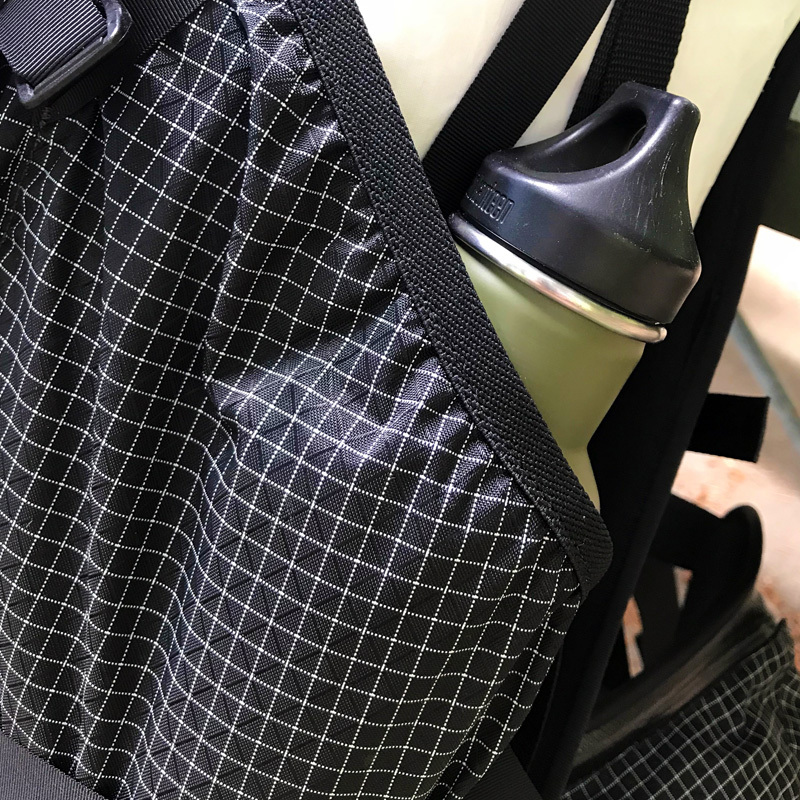 The interior also features a mesh hydration sleeve that can accommodate a 3-liter bladder, with a small port on the right side for passing the hose through. The notable absence of a lid compartment had us rearrange a few things for accessibility purposes. On the outside of the Southwest are pockets, pockets, pockets. We love pockets, so this is where we were happy the Southwest doesn’t skimp. 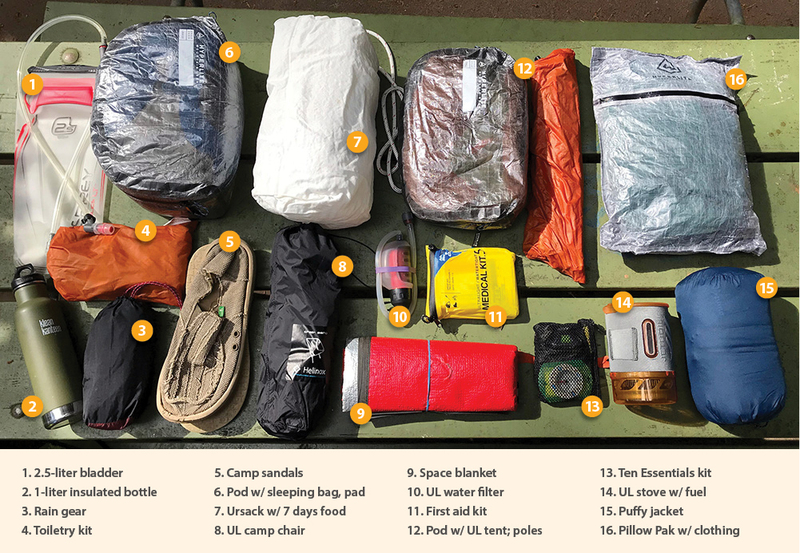 If you’ve been following our recent pack reviews, then you probably have an idea how we’re loading these up: in the main external pocket went our camp sandals, tarp and water filter; in the two deep side pockets went our 1-liter insulated bottle and ultralight camp chair (insert winking, smiley face emoji here). The openings for the side pockets are smartly angled, making it fairly easy for us to reach behind and grab an item without turning our arm into a pretzel. 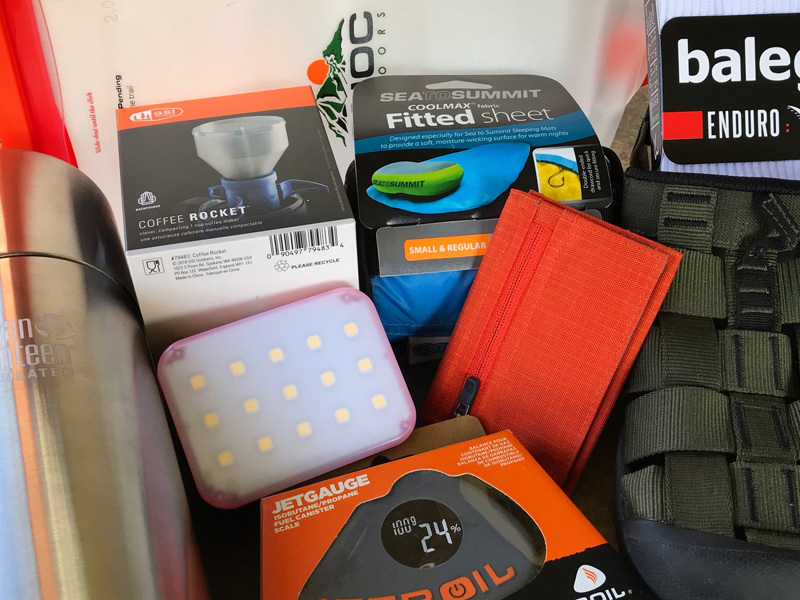 On the hipbelt are two generous, waterproof pockets (with waterproof zippers) that we used for snacks, hand sanitizer, smartphone and a couple small essentials. On the back are several lash points and one tool loop. Once the Southwest is fully loaded, the main compartment closes with a Velcro strip, then just rolls up to compress the entire load and clips down. Easy-peasy and ready to go. When choosing an ultralight backpack, you’re usually going to sacrifice one of two things: comfort or convenience. In the case of the 2-pound 3400 Southwest, the concessions are more the former than the latter, as there is plenty of convenience with its large capacity and ample pocket arrangement, yet the harness and support structure is considerably spare. 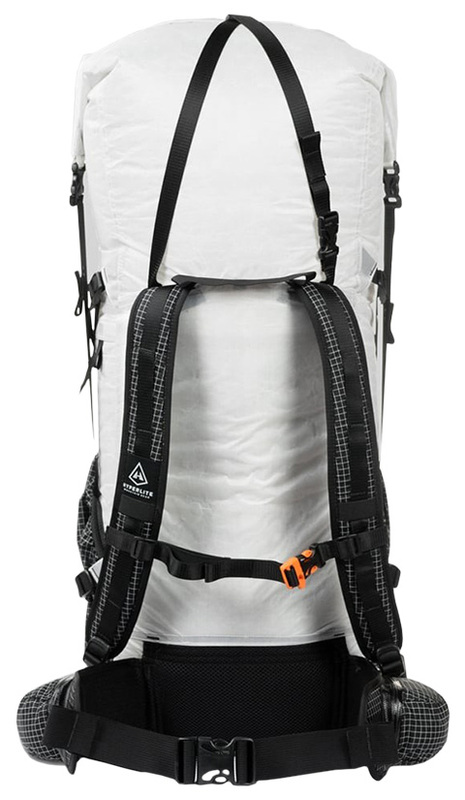 So with nearly 65 liters of storage volume, you have to resist the inclination to overload and negate the benefits of this ultralight pack. The Southwest’s back panel is supported by an internal 1/4-inch foam pad and two aluminum stays. 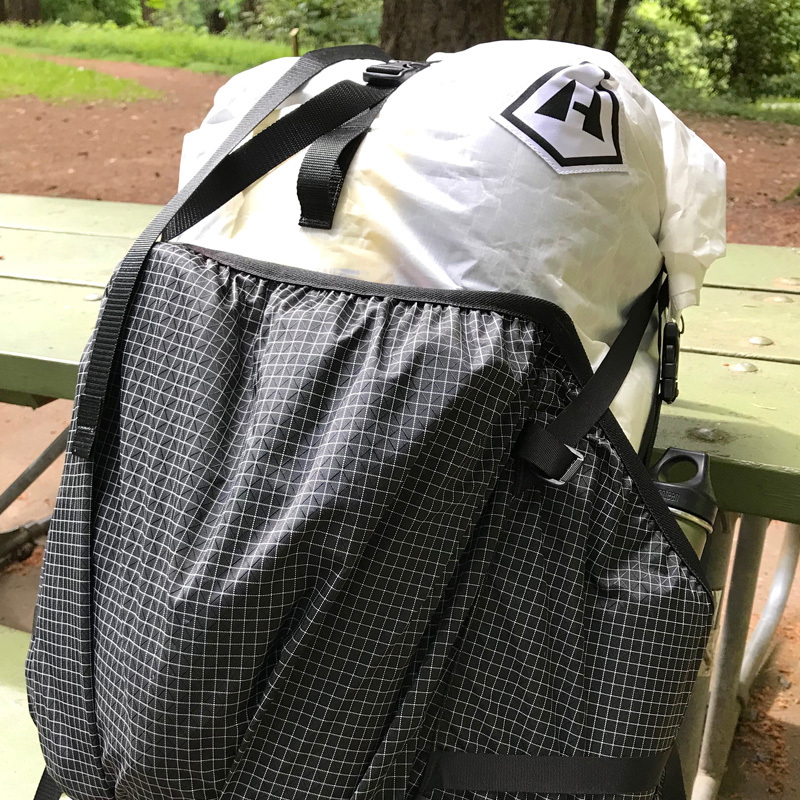 This lightweight pad provides the only cushion between the contents of the pack and the back—a good reason to pack smart so as not to get stabbed by tent poles or a fuel can; the lightweight stays provide this pack with its moderate, if minimal, structure. Things get better around the waist, where the nicely padded hipbelt and lumbar support pad take the bulk of the weight and distribute it comfortably. The belt holds firm with a wide strap and heavy-duty buckle. Up top, the Southwest is held in place by two slightly contoured, lightly padded shoulder straps; these are connected with an elastic sternum strap with an emergency whistle on the buckle (nice touch!). There are no load-lifter adjustments on this pack. Loaded with our typical weeklong load (approx. 30 lbs. ), we felt the Southwest was suitably comfortable and ready to hit the trail. Learn more about the fantastically feather-light 3400 Southwest pack, then grab one and lighten your load. Weatherproof rolltop with compression straps. Side pockets for bottles and other necessities. Pack Pods for tents, bags and clothing. Lumbar support and hipbelt with pockets. Fully loaded and ready for the trail. For long-distance hikers looking to up their game, drop their weight, and have a bomber pack to take on big mountains and big miles, the 3400 Southwest is a solid choice. Firmly strapped on and motoring up the trail, we put the 3400 Southwest thru the motions—up hills, down hills, creek hopping, bushwhacking, in the rain. As mentioned above, the hipbelt and lumbar pad comfortably carry most of the weight, so the lack of upper support didn’t drag us down. However, since there aren’t any load-lifter straps, we had to keep it cinched pretty tight to our back to keep it from bouncing around. We were happy to realize the slightly curved internal stays actually provide a little breathing room between the pack’s back panel and our back—but not so much as to avoid getting sweaty back there when the day warms or the exertion picks up. Its durability in handling the outdoor environment is where the Southwest really sings. The pack’s entire body is constructed of Dyneema fabrics (formerly Cuben Fiber). 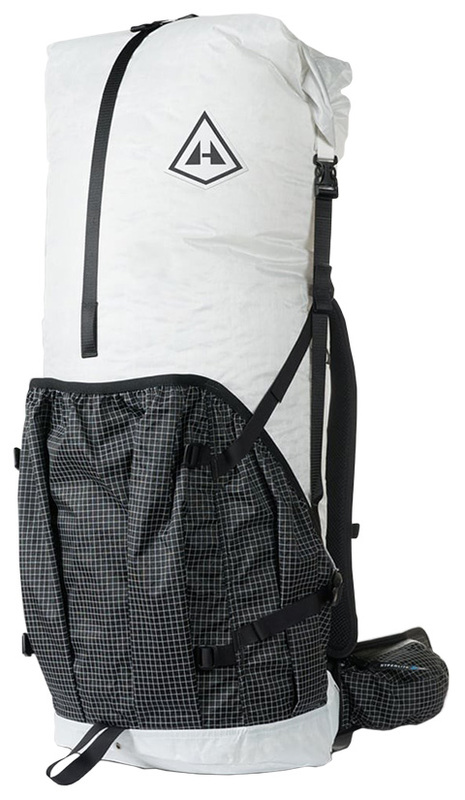 The main compartment is 50D waterproof, seam-sealed Dyneema/Poly Composite. This slightly stiff material helps give the pack a little more structure, and keeps it from collapsing during loading and unloading. It shrugs off stray branches and sheds rain effortlessly—without need for an additional rain cover. The pockets, hipbelt and shoulder straps are all Dyneema Hardline material for superior strength and flexibility; the bottom of the pack is reinforced with heavy-duty 150D Dyneema/Poly material. 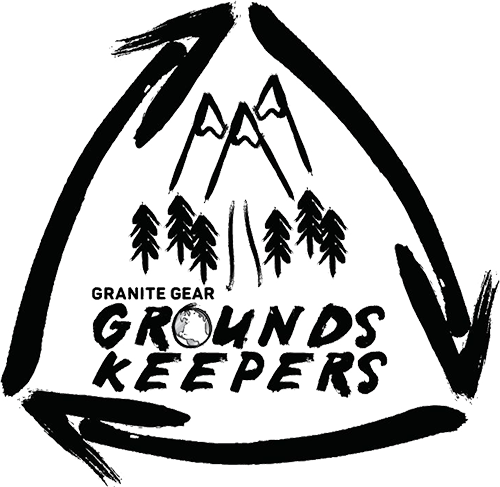 We didn’t intentionally abuse it any more than usual, but this pack can take a beating—much more so than many other ultralight packs out there. No bones about it, this is a premium pack with a premium price tag. For its durability, versatility, water-repellency and light weight, the Southwest is worth every penny. And we definitely recommend springing for a few Pods, as they are awesome. 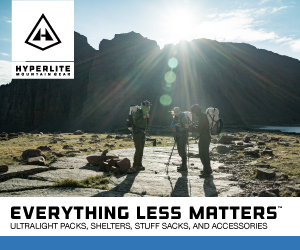 Plus, each Hyperlite backpack is made in the US by people with a passion for the outdoors, so there’s some feels there. 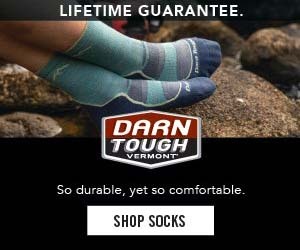 Conversely, for a few of its deficiencies, and for the availability of comparable—if not as durable—ultralight options, this may be too much pack for the casual hiker. 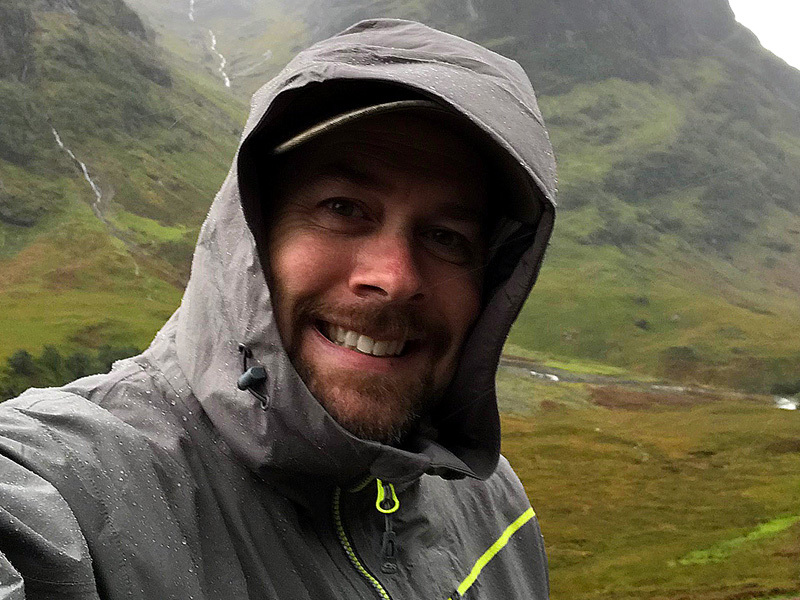 For long-distance hikers looking to up their game, drop their weight, and have a bomber pack to take on big mountains and big miles, the 3400 Southwest is a solid choice. PROS: Lightweight with tons of storage capacity; extremely sturdy and durable; waterproof. CONS: No lid compartment; minimal harness support; steep price tag. 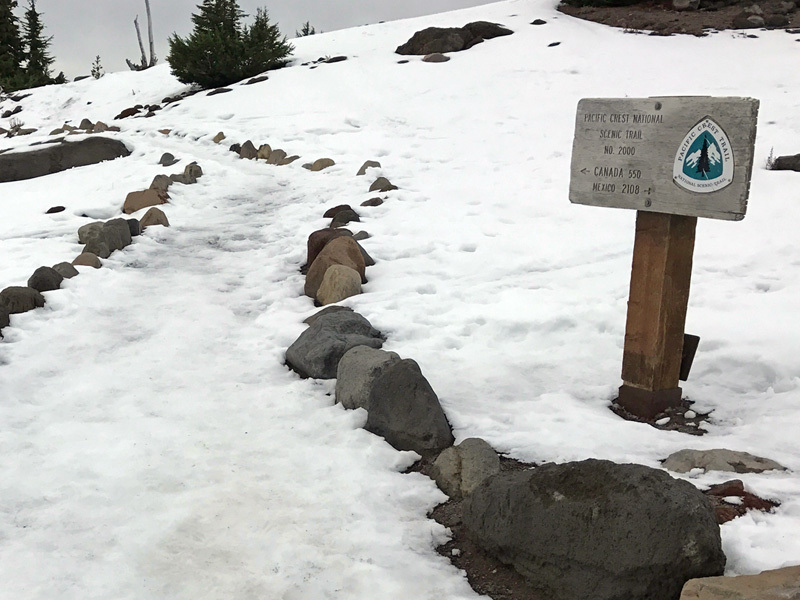 The most comprehensive and up-to-date guide to hiking the Pacific Crest Trail thru Oregon. Proud member of the 2018 team. *Based on 50D white model; 150D black model 2–3 ounces heavier. Exact weight may vary slightly depending on torso size. This post contains affiliate links. 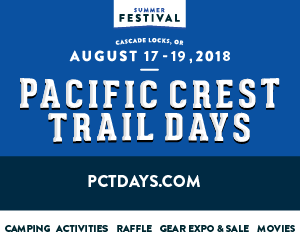 When you click on an affiliate link and make a purchase, PCT: Oregon may receive a small commission. These commissions help offset PCT: Oregon’s hosting, operating and development expenses. Affiliate links do not change your purchase prices. The biggest issue with these packs (I have owned 3 versions) is that they leak through the seams despite being taped. The quality is not quite there.